facts – Vibrational Reviews – What is YOUR vibration? Stuff I want you to see: The Guru Myth, Its Destructive Power and A Cure. Sophie’s notes: I do not necessarily agree with a lot what’s written in this article, yet it’s a good piece of writing, and I want you to read it. I will add some notes when I have time… And some vibrational measurements of the people he mentions… Patience, it’s coming. The Word and The Myth. The word “guru” has taken on a life of its own in Western pop culture. The media and advertising talk about “stock gurus,” “marketing gurus,” sports gurus” and on and on – the characterization being someone who has a particular insight into their chosen field and is trusted by others as being able to solve certain problems or provide a highly effective strategy on how to be successful. We know of course that the word originates in India and simply means “teacher.” In India one’s schoolteacher, dance instructor, parent – really anyone in an authoritative or instructive role might be considered your guru in their particular domain. Basically the claim is that there are certain very special people who have crossed a very specific threshold in their spiritual awareness – and they know the ultimate truth about the nature of reality. Anastasia and the Ringing Cedars of Russia: Fact of Fiction? 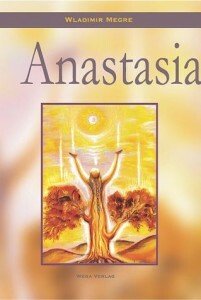 A few months ago someone asked about the vibration of Anastasia. I said 600. I finally bit the bullet and bought the whole set of books. I was really curious, what is in these books that a whopping 20 million people bought them. The idea and Utopia that is detailed in this book, vibrates at 600. About 10% of it is based on facts the rest is fantasy, much like the wildly popular Harry Potter series of the Lord of the Ring Trilogy. It’s translated from Russian so it is not an easy read, I hear the subsequent volumes are written better. The ideas, as I said previously, vibrate at 600. That means that they are largely off from the truth but they are much closer to how it is, the reality really is, than any religion. In this volume, it talks a lot about the plant world and its relationship to Man and the planets. Its assertion of training seeds and plants to change themselves to give you what is perfect for your level of health is pure fabrication: it is not true at all. It’s a nice idea, but it is wishful thinking. I think this is the part that millions of people are attracted to and maybe practice. Jill Bolte Taylor’s Stroke Of Insight, Or The Hemispheres of the Brain Is The Cornerstone Of Peace? 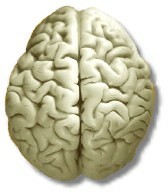 What is the term for the passages between the two hemispheres of the brain? Anyone knows? I have been trying to find out what is the proper word to use when I am talking about the two sides of the brain working together… what are those circuits that light up when you actually “be” as a full-brain individual, where your whole brain participates in your life at the same time, and you have your analytical capabilities and your “intuitive” capabilities informing your actions and your feelings at the same time, not either one or the other. I remember seeing that video once before, and I remember feeling that it was hokey… but at the time I didn’t know why. Can I say today? Let’s see if I can succeed… though the audience ate it up, and I am risking (as usual) to be very unpopular. Let me start with its conclusion, which is the biggest b.s. I have heard in a long time.